People use search engines to find almost everything these days. So, no matter what kind of business, ministry, non-profit or organization you’re a part of, you want people to be able to find you in search engines. Search engine optimization, aka SEO, is a collection of tasks done to help search engines find, read and understand the correct information about a website, so when people search for phrases related to a website, the search engines will show links to the pages from the website as high as possible in the search results. Many people mistakenly believe these things will happen automatically. In fact, most people – including many SEOs – don’t realize all the of the issues and possible problems that could cause web pages to rank poorly, not appear in search results at all or result in inaccurate information to be displayed. So, today we’re starting a blog series that will explain all of the tasks involved in search engine optimization. Each week we’ll publish a new post explaining in layman’s terms another aspect of SEO. We’ll link to it at the bottom of this post. 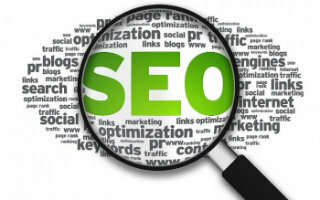 If you’re website is not ranking as well as you’d like it to, not receiving as many visitors as you’d like or not doing all it could to help your organization achieve its goals, and you’d like to improve on these things, each post in this series will help you understand a different aspect of search engine optimization. No two companies provide the same SEO services. So, comparing SEO services is like comparing apples to oranges to bananas and so on. But with this guide, whether you partner with OurChurch.Com to do your SEO, hire another firm or optimize your website yourself, you can decide what specific SEO tasks you want done. Do you think this series will help you? What specific aspects of search engine optimization do you want to learn more about? Actually exactly what i need at this moment, thanks! Thanks for sharing… You have cover up all the point that a newbie demands. As newbie , Respect for you , your way of describing is incredible easy to me ! Paul, Thank you for your amazing suggestions and the way you took SEO is great. I’m a newbie and got lots of answers to the questions I had in my mind. Thank you for sharing. Cheers!